My report of the latest Like Minds breakfast talk is now up on the site. The guest this month was Filip Matous of Evergreen Reputation. He spoke about … reputation. I sat with David Terrar of D2C Limited and Robert Bean (he really needs a new web site! ), who gave the Like Minds talk back in April. Robert and I discussed football. He’s a QPR fan. I’m a Hearts fan. So there was mutual commiseration while we wondered who’s team had suffered most in recent months. David and I talked about a mutual friend. That’s the beauty of these events. 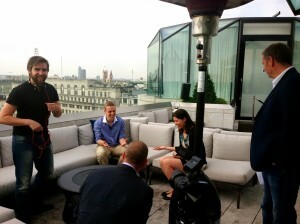 After Filip’s talk, I interviewed him out on the ME Hotel’s Radio Bar terrace. The nice people at Organic and DHP Studios create the videos. Organic also took some photos. 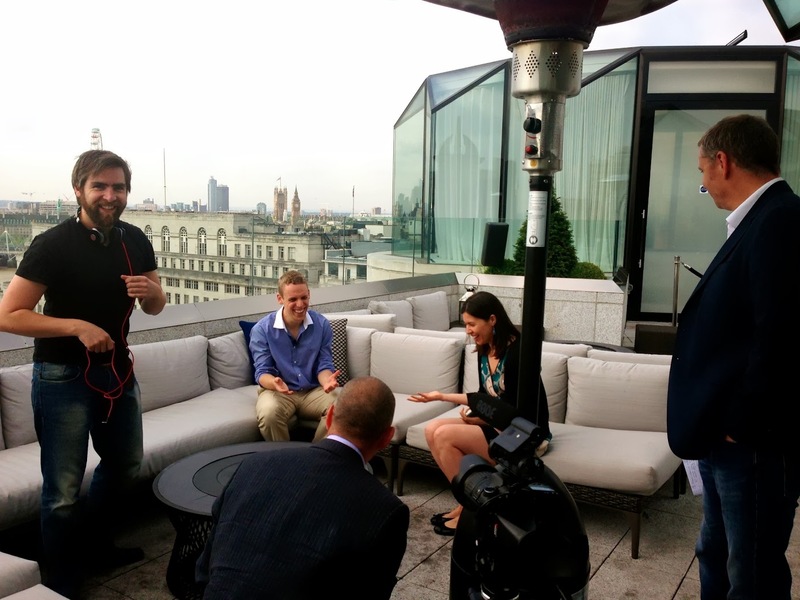 Here’s one of Filip on the terrace surrounded by those involved in filming the interview. I’m the rather distinguished and handsome guy at the extreme right of the shot. Yes, really. Feel free to click on the image for full-fat close-up goodness.